The Harmonie Mutuelle Semi de Paris will take place on the 1st of March 2020! We hope to see you on the starting line to live an amazing experience on the biggest french half marathon! To receive an exclusive offer before the opening of registrations for the 28th edition of Harmonie Mutuelle Semi de Paris, pre-register here! A fierce battle raged on among the elite runners on the start line of the 27th edition of the Harmonie Mutuelle Semi de Paris… but it was none other than the big favourite, Eritrea's Hiskel Tewelde, who emerged victorious with a time of 1 h 04′20″. Ethiopia's Derara Hurisa and Frenchman Florian Carvalho rounded out the podium. No surprises in the women's race either, with Nancy Kiprop posting a time of 1 h 09′12″ to beat fellow Kenyan Lydia Mathati and Frenchwoman Clémence Calvin. 34,215 runners went under the starting arch, set up on Quai d'Austerlitz, near the Cité de la Mode et du Design, for the first time. They had the privilege of sharing the starting areas with a host of stars, including three-time 3000 m steeplechase Olympic medallist Mahiedine Mekhissi, as well as Frenchman Florian Carvalho, who finished eighth in the 10,000 metres at the 2018 European Championships, and fellow French runner Clémence Calvin, runner-up in the marathon at the same event. In the men's race, Eritrea's Hiskel Tewelde, second in the 2018 Semi-Marathon de Lille and 17th in the 2016 half marathon world championships, dominated the race from A to Z. Even the wind failed to stop Tewelde from breaking away from the pack after 10 kilometres. Tewelde took the race in a time of 1 h 04′20″, beating Ethiopia's Derara Hurisa, who clawed back some time to finish in 1 h 04′48″. Florian Carvalho was the fastest French runner. The 2018 French 5000 m champion caught the third-placed athlete in the final kilometre and outsprinted him to take third place in a time of 1 h 05′47″. Mahiedine Mekhissi finished in fifth place despite having to cope with a side stitch for much of the race. In the women's category, Kenya's Nancy Kiprop and Lydia Mathati spent the entire race locked in a high-stakes duel. The intensity of their effort soon put clear daylight between them and the rest of the elite peloton. French runner Clémence Calvin already trailed them by 150 m after 5 km. The leaders went through the 10 km point together in 32′10″. Nancy Kiprop went through the 15 km mark in 48′33″, 20 metres ahead of Lydia Mathati. 40-year-old Nancy Kiprop won her first Harmonie Mutuelle Semi-Marathon de Paris in a time of 1 h 09′12″, with fellow Kenyan Lydia Mathati coming second in a time of 1 h 09′25″. French runner Clémence Calvin posted a stellar performance to finish third in a time of 1 h 10′15″. The runner-up in the marathon at the 2018 European Championships, Clémence Calvin, started the Harmonie Mutuelle Semi-Marathon de Paris with her sights firmly set on the Schneider Electric Marathon de Paris, which she will be racing in on 14 April to get her ticket for the 2020 Tokyo Olympics. Her outstanding shape also allowed her to set a new French 5K road race record of 16′25″. All in all, a wildly successful day for the 28-year-old, who finished the half marathon in third place (1 h 10′15″). There is still time to confirm what wave you’ll be in at the start of the race. You can also check how to get to the start of the race and avoid stress on Sunday morning! Attention, NEW start location at QUAI D’AUSTERLITZ! Look at the map and the metro stations to get where you need to be. If you have a bag to leave at the baggage drop off located on the Pont de Bercy, we recommend you make your way there by the Right Bank of the River Seine: use the Bercy stations (metro lines 6 & 14) and Gare de Lyon (metro lines 1 & 14 + RER A & D). Elites, Preferential, Red and Yellow staging areas: use the Gare d’Austerlitz (metro line 10 & RER C) and Gare de Lyon (metro lines 1 & 14 + RER A & D) stations. Attention: the Quai de la Gare station will be closed Sunday 10 March. Along the course, or warm at home, your dearests will be able to follow your steps thanks to the live tracker created. Download now the official app for iOS or Android. And for you, in running the half-marathon this Sunday, you can perhaps win a bib for the 2020 Harmonie Mutuelle Semi de Paris! Try your luck in the connected app challenge! A few hours left to register before the closing this Thursday 7th of March at 11.59pm. Don’t hesitate and come to enjoy an unforgettable experience this Sunday on the biggest French Half marathon! We are waiting for you! Discover all the activities that await you in the Village! Stand ‘’my 1st half-marathon’’ with the experts, Fans corner to create encouragement signs, mini conferences, race-route presentations, photo booth, virtual reality, tips from coaches and nutritionists, yoga, shoe testing … there will be something for everyone! Your medical certificate (or licence) in paper form according to the model available here, only if it has not been downloaded and validated on your time to account. *modalities and specific times for companies, please contact your captain. Be careful, no bibs will be distribute on Sunday morning, race day! Do you still have a lot of questions? Where can you find us on the big day? At what time? And where can you cross the dozens of supporters who have come to cheer you on? Don’t worry, we have gathered all the essential information together in the Runner’s Guide. It contains the opening times of the Village, tips to get to the site and everything you need to know about the routes so that you can serenely set off in the race. There’s only one thing left to do: focus on your running and give it your all to get a great medal. Mutual Harmony accompanies you beyond 21.097kms! The Harmonie Mutuelle Semi de Paris is the race of and for all runners. Discover how Harmonie Mutuelle accompanies the biggest half-marathon in France and helps all runners to cross the finish line. Upload your medical certificate on time to! To save time and avoid any stress on the Village, but also to respect the environment, upload your medical certificate / licence to your time to account. FLASH SALE VALENTINE’S DAY – From Monday 4 to Sunday 24 February (inclusive), take advantage of a discount on the purchase of two race entries for same race on the 2019 Harmonie Mutuelle Semi de Paris. What better way to convince your honey, best friend, brother, sister or work colleague to join you on the start line? N.B. : You will receive on February the 14th (if you purchase before this date) or the 25th an email with the registration link to send to the recipient of the second race entry. THE NEW ROUTE IS AVAILABLE! Discover the route you’ll be taking on the Big Day in the heart of Paris now! This year, we are offering you a start and a finish within Paris to make coming to the event easier and improve your experience on the Big Day! With a start on the Quais d’Austerlitz and a finish on the Quais François Mauriac (in front of the Bibliothèque François Mitterrand), located at the foot of the metro and the RER, you no longer have an excuse for not coming! After your race, you’ll be able to enjoy the many shops and terraces on the edge of the Seine or the nearby avenues of this magnificent renovated quarter of the 13th arrondissement. Like for the previous editions, you’ll admire the capital’s many emblematic monuments: Bastille, Rue de Rivoli, Hôtel de Ville, Quais de Seine, the Bois de Vincennes and its Château, and Pont de Tolbiac. FLASH SALE – From Friday 14 December to Monday 31 December (inclusive), take advantage of a discount on the purchase of two race entries for same race on the 2019 Harmonie Mutuelle Semi de Paris. What better way to convince your best friend, brother, sister or work colleague to join you on the start line? FLASH SALE – From Tuesday 20 November to Friday 30 November (inclusive), take advantage of a discount on the purchase of two race entries for the 2019 Harmonie Mutuelle Semi de Paris. What better way to convince your best friend, brother, sister or work colleague to join you on the start line? 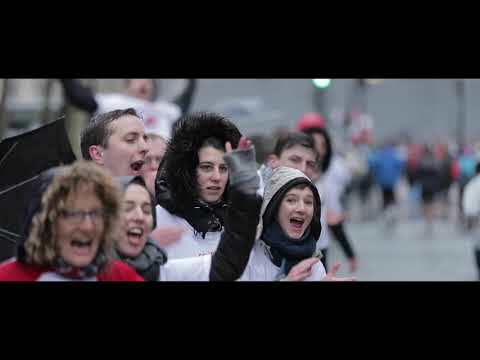 Where will you be on 10th March 2018 when the biggest half marathon of France will start? The registrations for the 27th edition opening on September 21st on time to. Your race on the Fitbit Semi de Paris 2018 has been recorded by High Definition quality cameras along the track. The chilly, wet conditions failed to deter Evans Cheruiyot, who claimed the 26th edition of the Fitbit Semi de Paris ahead of fellow Kenyan Evans Kurui and Ethiopian Hailu Gizachew. Kenyan Antonina Kwambai won the women's race. Congratulations to all of you who criss-crossed the streets and avenues to the east of the capital. Throughout the 21.1km, spurred on by the energy of East Paris, you surpassed yourself, demonstrating your amazing collective spirit. Sunday's chilly and wet weather over the long avenues next to the Château de Vincennes made the forest the ideal starting point for a thrilling race. The scorching start of Kenyans Evans Cheruiyot and Evans Kurui and Ethiopian Hailu Guizachew blew the field apart. The three contenders whittled down the small elite group at a pace that saw them go past the 10 km mark in a time of 28′40″. 2016 junior 10,000 m champion Hailu Guizachew eventually had to let go under the impulse of Evans Cheruiyot (1 h 00′59″ at the Karlovy Vary half marathon last year), followed shortly thereafter by Evans Kurui. The Kenyan sailed to victory in the Fitbit Semi de Paris with a time of 1 h 01′25″, beating fellow countryman Kurui (1 h 02′42″) and Ethiopian Gizachew (1 h 02′47″). The women's race was a closer affair. Kenyans Antonina Kwambai and Pioline Wanjiku and Ethiopian Zerfia Lemeneh stayed together throughout the race despite the infernal pace. The final sprint saw Antonina Kwambai, who came second in Naples a month ago, triumph with a rock-solid time of 1 h 08′06″, 5 seconds faster than Zerfia Lemeneh (1 h 08′11″) and 13 faster than Pioline Wanjiku. Romain Courcières was the fastest French runner. The athlete from Alès Cévennes finished in sixth place (1 h 05′38″), whereas Yohann Durand had to quit the race. Fadouwa Ledhem posted a time of 1 h 10′50″ to finish seventh in the women's race. The current 50 km walk world champion lit up the fireworks in the 1 h 35′ wave, running in the heart of a field that had to cope with the chilly Parisian winter and a drizzle that gave way to intermittent rain. 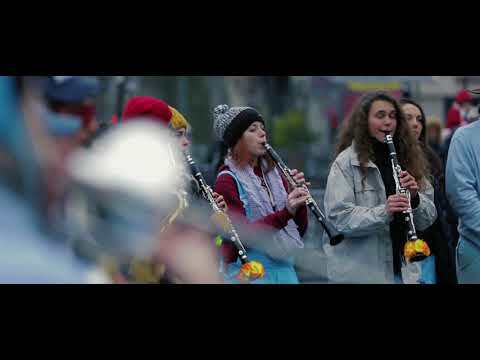 "This is the second year straight that I take part in the Fitbit Semi de Paris. This race is always fun and it has an amazing atmosphere… Everything went well, there were lots of people on the road, it was quite exhilarating. I brought people behind me, we caught quite a few runners, they were all stunned to see me walk, which I always find funny." The Fitbit Semi de Paris will set off on Sunday at 9am close to the esplanade of the Château de Vincennes. It’s better to take the subway than any other means of transport to reach the start area. Take Line 1 and get off at Château de Vincennes. The weather forecast is cold and gloomy. Wear waterproof clothing to protect you before the start as well as warm clothes-that you can leave at the left-luggage facility-to change into as soon as you have finished. Verify the time you will set off (according to the starting area that you have been allocated) and enter your starting area at least 30 minutes before the start. Run during the first kilometres at the pace you set yourself during your long training sessions. Make sure you spread your effort evenly throughout the race. We look forward to seeing you at the finish. The village has opened its doors! 48 hours before the start, it’s time to come and collect your key item: your race number! Don’t forget your notification letter, your proof of identity and your medical certificate. Consult your To Do List. Or you can come on foot wearing your trainers! See you at the Fitbit Semi de Paris Village and discover many activities! Registrations are now closed ! 45.000 runners will be at the start of the 26th edition this sunday 4th of March. Like every year, we look forwarding to seeing you at the Fitbit Semi de Paris Village from Friday 2nd to Saturday 3rd March 2018 to collect your race number and discover all the activities. Find out the official application of the 2018 Fitbit Semi de Paris! We promise you’ll be running along and through the most mythical and symbolic places in East Paris: Quai d'Austerlitz, Bastille, Hôtel de Ville, Bercy, the Bois de Vincennes, the Pont de Bercy and the Pont de Sully. This will offer you an incredible view of the banks of the Seine, to cover the good 2 kilometres on the left bank! What a great opportunity! YOU’RE UP TO RUNNING THE HALF-MARATHON WITH A PARTNER! CHRISTHMAS OFFER - from Thursday 14th to Thursday 28th December inclusive, take advantage of a discount on the purchase of 2 race numbers for the Fitbit Semi de Paris. This should encourage your best friend, your brother, your sister or even your colleague to set off with you! We have the situation in hand to help you prepare France’s biggest Half-Marathon; click here to discover the training plan which corresponds to your objective! 2nd BONUS: All the Fitbit Semi de Paris entrants can take advantage of 3 free sessions at CMG Sports Club to put the finishing touches to their preparation. 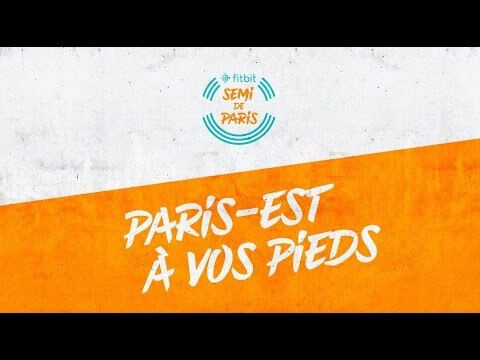 You’ve registered for the 2018 Fitbit Semi de Paris? Take advantage of 3 free sessions at CMG Sports Club to work on your interval training either cycling or on a connected treadmill, reinforce your legs during a Body Pump or a TRX session, or improve your suppleness thanks to yoga in one of our 23 clubs. 2018 EDITION: REGISTRATIONS ARE OPEN! Paris awaits you on 4th March... It's The place to run! 21.097 km in the most beautiful city in the world: Hôtel de Ville, Place de la Bastille, Nation: Paris’s finest districts will be all yours for the occasion. Guarantee your place now at the best rates! Where will you be on 4th March 2018 when the starting signal for the Fitbit Semi de Paris given? Registrations opening on the 12th September. Your race on the Fitbit Semi de Paris 2017 has been recorded by 15 High Definition quality cameras along the track. The cameras were located at the 5th km, 10th km, 15th km, 20th km and of course at the finish line! New participation record: there were 38,800 of you at the start of the Fitbit Semi de Paris. The Kenyan Morris Gachaga was the winner in the men’s category in a time of 1:00:38.Kenya's Paul Lonyangata and Kenya's Alex Korio completed the podium. The women’s race was dominated by Kenyan’s Ruth Chepngetich, victorious in a time of 1:08:08. Kenya’s Pioline Wanjiku and Kenya’s Edith Chelimo completed the podium. We wish you all a great Fitbit Semi de Paris! The village has opened its doors! Come and collect your race number! Don’t forget your notification letter, your proof of identity and your medical certificate. See you at the Fitbit Semi de Paris Village! DO YOUR BIT AND SUCCEED IN ANOTHER A CHALLENGE! Participants in the Fitbit Semi de Paris will have the opportunity to run in the heart of Eastern Paris, take advantage of the magnificent avenues and go past Paris’s monuments and beautiful squares. This obviously means that they must adopt a responsible attitude with regards to local residents, but also to the many people who are in charge of the cleanliness of the event, who collect the waste bins at the rear of the race and are actively involved in recycling the different materials. The Fitbit Semi de Paris would like to adopt an exemplary approach to waste management. Here you go: there are just 10 more days to go before the start! Do you still have a lot of questions? Where can you find us on the big day? At what time? And where can you cross the dozens of supporters who have come to cheer you on? Don’t worry, we have gathered all the essential information together in the Runner’s Guide. It contains the opening times of the Village, tips to get to the site and everything you need to know about the routes so that you can serenely set off in the race. Yohann Diniz is a French athlete who specialises in race walking. Born on 1st January 1978 in Epernay, he is known as the triple European Champion, World silver medallist in the 50km race and world record holder for the 50km race. A Fitbit ambassador since June 2016, he is now one of the biggest names in French athletics and will be present at the Fitbit Semi de Paris on 5th March, before preparing for the 2017 World Championships in London. Make sure you warm up well with a ten-to fifteen-minute jog and a few sprints. The aim is to get your cardiovascular system ready to work. It’s also a way to get rid of stress and retreat into a bubble before you start your race. Don’t set off too quickly at the start, even if you’re raring to go and the adrenalin is pumping. Take it easy at the start, running slightly below your race pace. Keep up a comfortable speed for the first part of the race, so that you can accelerate over the second half. For me, this is the best way to achieve your objective. If you are using a Fitbit bracelet or watch, like me, you have everything you need to monitor your statistics on your wrist during the race: time, distance and heart rate. You can monitor and adjust your effort in real time, which is a great advantage. A half-marathon is broken down into three main stages: the 7th kilometre, the 14th kilometre and the finish. At the first two stages a certain level of euphoria can set in because you can feel strong and want to accelerate. But keep this energy and the desire to move mountains reined in if you want to last beyond the 16th kilometre. This is the point where your mental strength takes over, enabling you to push beyond your limits and finish the course strongly and comfortably. The key word here is FRESHNESS: by saving your energy while following your own pace, you are most likely to finish within your target time and feeling good! The new route has finally been revealed to you! We promise you’ll be running along and through the most mythical and symbolic places in East Paris: Quai d'Austerlitz, Bastille, Hôtel de Ville, Bercy, the Bois de Vincennes, etc. The new feature this year is that you’ll be able to cross the Pont de Bercy and the Pont de Sully, which will offer you an incredible view of the banks of the Seine, to cover the good 2 kilometres on the left bank! What a great opportunity! Raise your eyes and enjoy the route! New training sessions are open ! The Fitbit Semi de Paris is taking place soon: have you run out of training ideas? Many new sessions are now available on the Fitbit Semi de Paris Training site, so there’s no excuse for not finding one that suits you! Route recce runs with 9k/h, 10k/h or 11 k/h groups, so it’s up to you to choose according to your level and your objective! Join us to test your VO2 Max! We look forward to seeing you on Sunday 8th January at the Hippodrome in Auteuil! Find out the official application of the 2017Fitbit Semi de Paris! Free app, available on the App store and on Android. 2017 EDITION: REGISTRATIONS ARE NOW OPEN! Paris awaits you on 5th March! Guarantee your place tomorrow at the best rates! Thanks to Indesit, your race on the Fitbit Semi de Paris 2016 has been recorded by 13 High Definition quality cameras along the track. The cameras were located at avenue du Faubourg-Saint-Antoine (5 km), avenue de Gravelle (15 km), route de la Pyramide (20 km) and of course at the finish line! Once again you proved that running was a convivial sport, whether you were on your own or with friends. There had undoubtedly never been a warmer atmosphere in both the start and the finish area of the Fitbit Semi de Paris, with a historical number of women in the heart of the pack. And now it’s time to recover: you have really deserved it! Christelle Daunay, who is the French record holder on the half-marathon distance (1:08:34), started her season on the Fitbit Semi de Paris. Already qualified for the Rio Olympics, she covered the 21.1km in 1:09:58. “I gave it my all and that's what counts," she said several seconds after crossing the finish line. Were you lucky enough to cross Gebre? Haile Gebreselassie, the two-time Olympic 10,000m champion and former marathon world record holder (2:03:59), gave the starting signal of the Fitbit Semi de Paris. He was also present in the Village as well as at the finish line. The Ethiopian champion, who has now retired, was incredibly patient and readily allowed hundreds of competitors to take selfies with him all weekend long. To follow your favorite runner, download the free official app! Meet with HAILE GEBRSELASSIE on the Fitbit Semi de Paris village for a signing session! The winner of 2 olympic medals & 4 times world champion Haile Gebrselassie will be at the ‪Fitbit Semi de Paris‬ village on saturday from 3am to 4am for a signing session! THE COMPETITOR’S GUIDE IS ONLINE! Where can you find us on the big day? At what time? And where can you cross dozens of supporters who have come to cheer you on? Don’t worry, we have gathered all the essential information together in the Competitor's Guide. It contains the opening times of the Village, tips to get to the site and everything you need to know about the routes so that you can serenely set off in the race. 10 days before the competition, all you have to do is: focus on running! Like every year, we look forwarding to seeing you at the Fitbit Semi de Paris Village from Friday 4th to Saturday 5th March 2016 to collect your race number. Our partners and more than 50 exhibitors will gather together in the Village in an environment which is completely devoted to running. There'll be no shortage of enjoyable things to do: you can buy some equipment, discover new products and new races, but also take advantage of the many activities that we have organised for you. Make sure you come with someone! BOOST YOUR PREPARATION FOR THE HALF-MARATHON THANKS TO THE FITBIT SEMI DE PARIS APP! To boost your preparation, the Fitbit Semi de Paris is offering you a fun and unique app which is free of charge. It works with your usual running app or GPS watch. Connect your app and take up the Adidas #BoostParis challenge: Run at least 1 hour 15 minutes between 25th January and 3rd February. You can win technical clothing and Adidas shoes! FITBIT SEMI DE PARIS: THE 2.0 VERSION RACE! New name, new logo and new look! Your half-marathon is being revamped and will now be called the Fitbit Semi de Paris. Fitbit, the leader in the field of connected health and fitness, is becoming the title sponsor of the biggest half-marathon in France to help you take up the challenge. D-45! On your marks, get set? Run! See you in 57 days on the Semi-Marathon de Paris starting line! You will be 47 000 to run on March, 6! This year, the start time of the Semi-Marathon de Paris will be at 9am ! Until then, enjoy your preparation! Registrations to the Semi de Paris 2016 open on 15th September 2015 at 8am. To receive a reminder before registrations open, click here. In the run-up to its 24th edition, the Semi de Paris has decided to give its website a makeover. The race, registrations, practical information, advice, etc. All the information is there, all you have to do now is register and prepare yourself for your first 2016 challenge.